Forexworld Australia Exchange Rate March 11, 2019 (Monday) is PHP 36.50 valid up to 6pm Australian EST. Forexworld Australia Exchange Rate March 8, 2019 (Friday) is PHP 36.30 valid up to 6pm Australian EST. Forexworld Australia Exchange Rate March 7, 2019 (Thursday) is PHP 36.40 valid up to 6pm Australian EST. Forexworld Australia Exchange Rate March 6, 2019 (Wednesday) is PHP 36.80 valid up to 6pm Australian EST. Forexworld Australia Exchange Rate March 5, 2019 (Tuesday) is PHP 36.40 valid up to 6pm Australian EST. 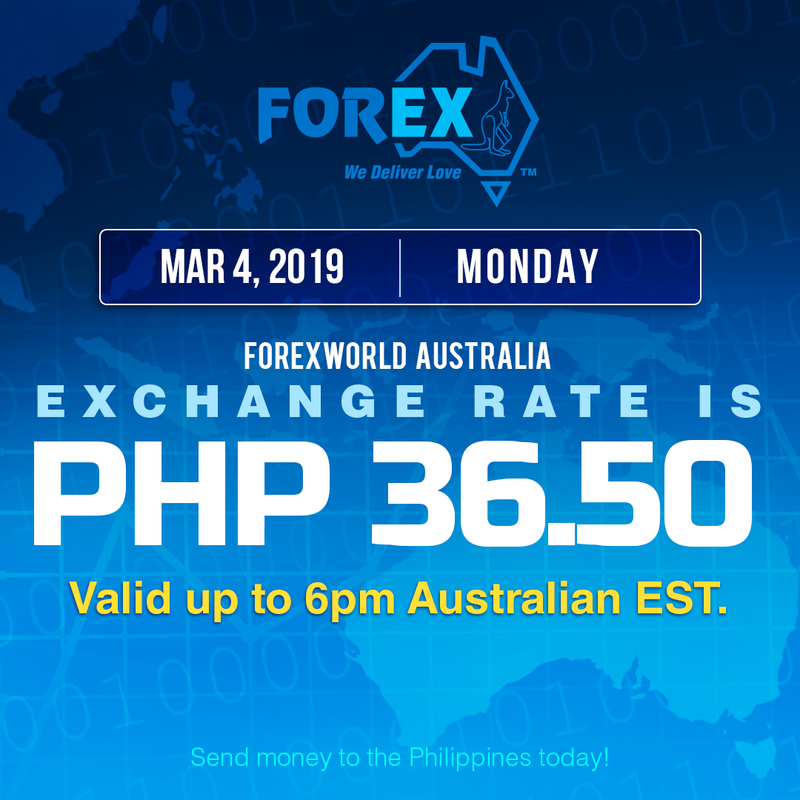 Forexworld Australia Exchange Rate March 4, 2019 (Monday) is PHP 36.50 valid up to 6pm Australian EST. Forexworld Australia Exchange Rate March 1, 2019 (Friday) is PHP 36.40 valid up to 6pm Australian EST. 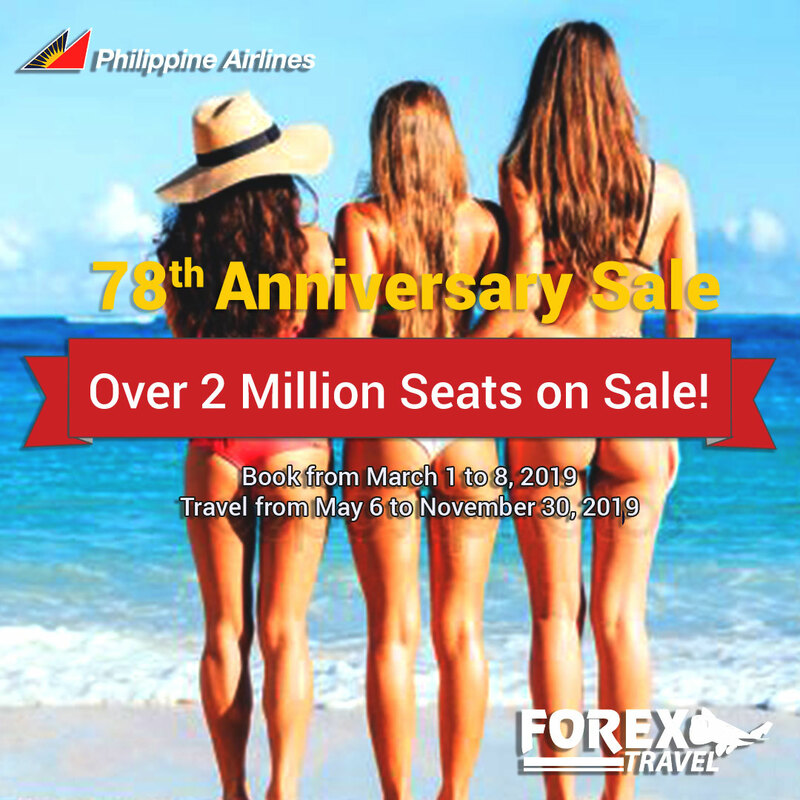 PHILIPPINE AIRLINES 78TH ANNIVERSARY PROMOTION FROM AUSTRALIA TO MANILA! Forexworld Australia Exchange Rate February 28, 2019 (Thursday) is PHP 36.85 valid up to 6pm Australian EST. Forexworld Australia Exchange Rate February 27, 2019 (Wednesday) is PHP 37.10 valid up to 6pm Australian EST.